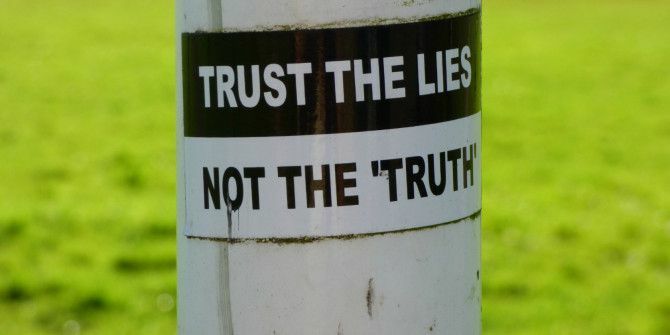 We all now have another friend in the fight to surface the truth… Google News has launched a Fact Check feature designed to separate fact from fiction. The question is, does anyone actually care about the truth any more? Politicians lie. A lot. If they’re not lying, they’re at least spinning the truth to fit their own agenda. Sadly, the media, which should be keeping this in check, does the exact same thing. Which is why the publication(s) you read determine what you take away from a story. Facts become blurred. The truth is subverted. A biased narrative is born. In an effort to help you cut through the crap, Google News has added a Fact Check feature. This works in the same way as the “Opinion,” “In-Depth,” and “Highly Cited” tags you see assigned to stories appearing on Google News. So, alongside the biased reporting of a story, you’ll find a link to a version which sticks to the truth, the whole truth, and nothing but the truth. In its blog post about the Fact Check feature, Google actually avoids mentioning politics. Instead, the company uses a story about maternity tourism in the UK as an example of how biased reporting can obfuscate the truth. However, it’s surely more than just a coincidence that Google has rolled this feature out now, in the middle of a presidential election 6 Resources to Help You Track the 2016 US Presidential Election 6 Resources to Help You Track the 2016 US Presidential Election The people’s right to vote determines the outcome of an election. Be an informed voter and take this important task seriously with the help of these tools. Read More during which both sides have been accused of spreading lies and half-truths in a desperate bid to get elected. The sad truth here is that most people won’t ever use this feature. Because most people read publications which report stories in the way they want them reported. This phenomenon is called confirmation bias Why an Algorithm Change Would Be the Death of Twitter Why an Algorithm Change Would Be the Death of Twitter Four days after the #RIPtwitter protest, Twitter did decide to make some changes to the timeline, but they weren't as significant as first expected. So what exactly happened? Read More , and it’s why political discussions always devolve into bitter slanging matches. The Fact Check tag is now available on the Google News website, and on the Google News & Weather app for Android and for iOS in the US and UK. What do you think of Google’s new Fact Check feature? Do you read stories from a number of sources in order to get a balanced viewpoint? Or do you choose to accept the version of events that fits in with your own beliefs and biases? Please let us know in the comments below! Explore more about: Google, Google News, Politics. By definition, politicians never tell the truth. When in doubt, check out their mouths - if their lips are moving, they are lying. What makes you think that Google is objective?! They apply their own bias, just like all other sites. There also was 'Tricky Dickie' Nixon and Spiro Agnew, 'Slick Willie Clinton' and Big Al 'The Father of the Internet' Gore and assorted other fine examples of American politicians. We deserve the government that we get. Americans insist that POTUS come from either the Republican or the Democratic party because 'that's the way it has been done since the days of George Washington!' What was good enough for Grandpa is good enough for me. This election the American voters are presented with two equally morally and politically reprehensible candidates and one of them WILL get elected. This year we have a perfect opportunity to elect a third party candidate, if for no other reason then to show the entrenched politicians that "we, the people" have had enough of the Good Ol' Boy-style politics. It sure would be a kick in the rear end and egos of the Republicrats and the Demoblicans if Alfred E. Neuman or Mickey Mouse got elected POTUS. It would also be a sad commentary on the state of American politics. Read a number of different sources. However, I disregard those with blaring headlines have been debunked a number of times. ROTFLMAO.... yeah, right, we will trust Google with the unbiased truth just like we do Facebook. I thought fact checkin your way in to confermation bias was all the rage with Google. That's what I do. I thought fact checkin your way to confermation bias was all the rage with Google. So now there will be a Google bias as well. No person or organisation is free of them. You mean, like, when they open their mouths? Is this like that Microsoft experimental AI that ended up spouting hate? Everything that either Hillary or Donald says is unbelievable. If the fact checker verifies this I will believe it works successfully.